Our experienced, profesionally skilled team and quality, versatile machine park enable us to successfully finish even the most difficult jobs. 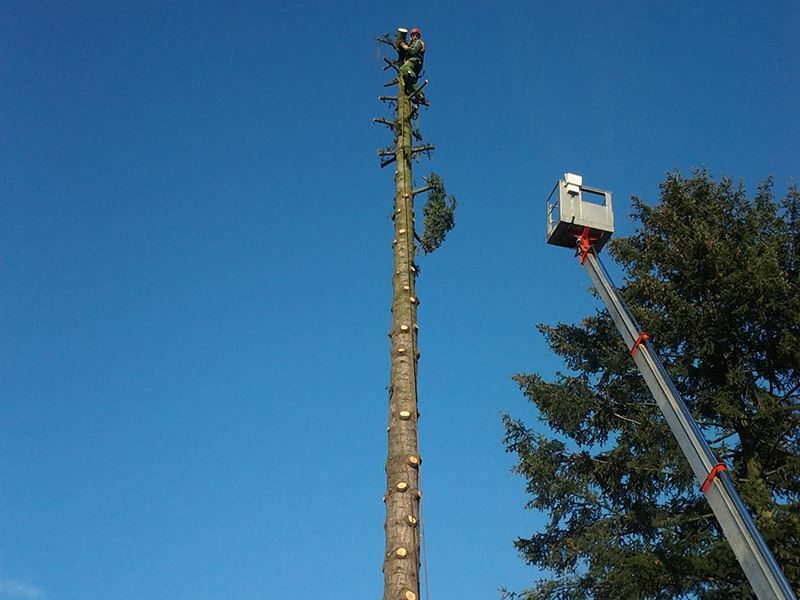 We master effective solutions for inaccessable terrain, roadside trees, inclined trees and work on slopes. 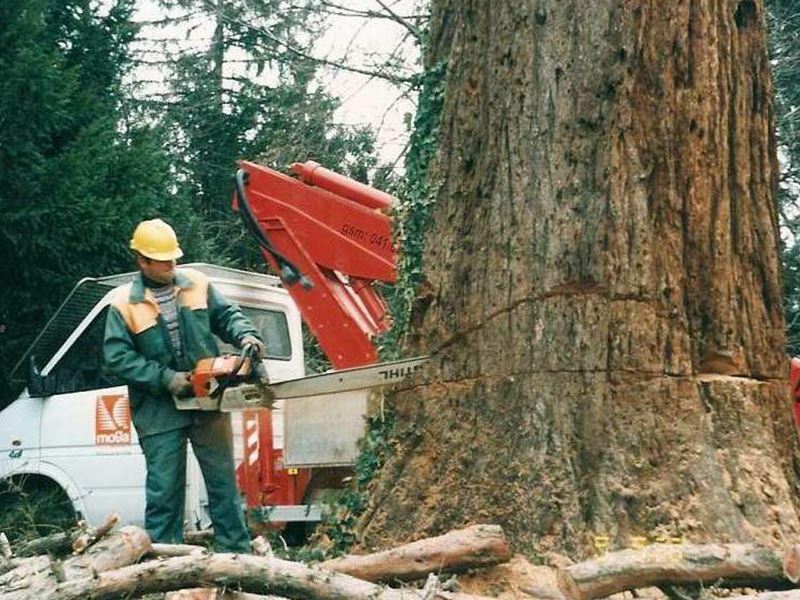 Among mentioned we also carry out woodland maintenance, shrubberry clearance right by the roads and any other forestry work. 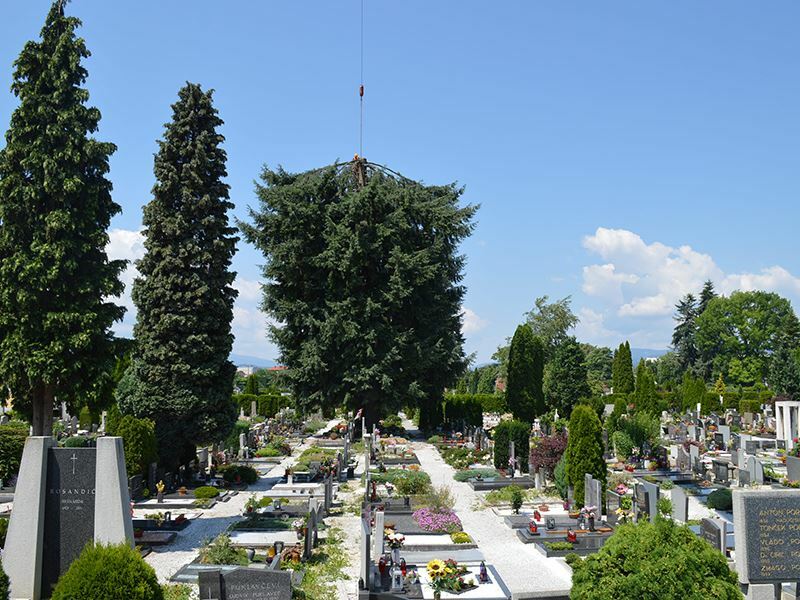 According to the difficulty of a particular case we choose the optimal way for tree felling. Using modern methods and techniques with help of special technologies we carry out even the toughest tasks in a safe, quick and effective way, avoiding all the unnecesary damage to the place. We will hapilly give you tips and advice on how to rearange the empty space (after a tree fall) and which plants could fit into the new arrangement. Trees and shrubs grow at our nursery for several years!